We create contents for your radio-station, specially music ripped directly from vinyl. Combinate analog taste with innovation. It´s possible to do it in spanish and english. We design your logo, art cover or your web page. Easy, cheap and quick. We design courses for elearning and convert them to apps for Android. We put the contents in our servers, so the installation in the dispositive is really soft. Finally, the user must be connected to Internet (3G, 4G or, better, wi-fi) to see navigation. Great TV show from 1965 Xmas. 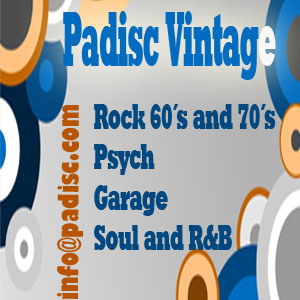 Nashville teens, Billie Davis, The Sounds Incorporated, Spencer Davis Group and many more. Thanks to Flower Power. Over 1 hour of TV shows extracted from spanish TV archives. This documentary is property of TVE (Televisión Española). You can watch it in RTVE a la carta webpage, but also in Padisc, through a private link to our channel in Youtube… Enjoy it!! !